Oh My … Gosh Foundation! Yesterday, while I was at the drugstore (Shoppers Drug Mart) I really have to pick up this makeup product. It was on Sale and I just couldn’t resist even though this is the only shade left. I’m also curious to try out this brand. As many of you may know, I’m obsessed with makeup and for this super cheap price I’ll hop and somersault to get it (giggle!!!). 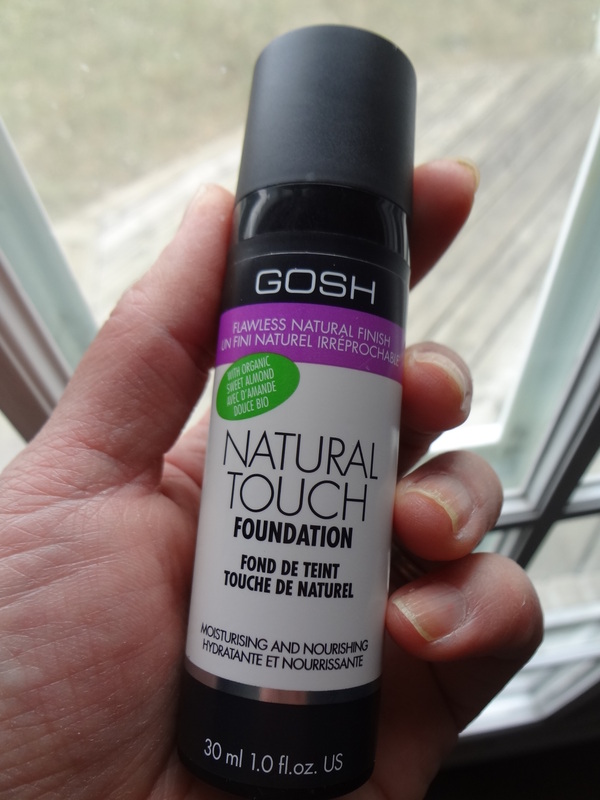 This is the first Gosh makeup product that I’ve ever used. Read further to see how it fairs after I did my first impression wearing them, all I can say is that it didn’t disappoint. 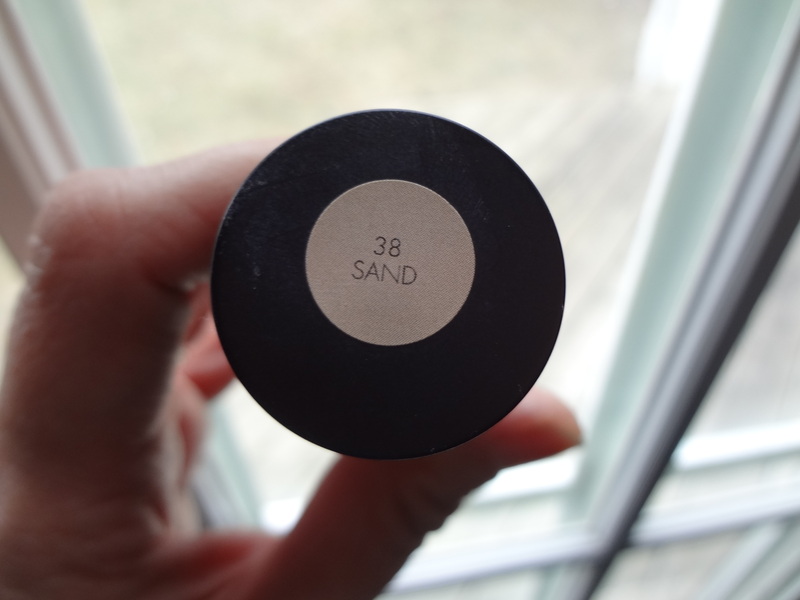 I picked this Gosh Natural Touch foundation in 38 Sand with net wt: 1.0 fl oz. By the way, I only paid $2.00 at the drugstore for this lovely babe! It happens to be on liquidation/special sale and I couldn’t pass this out. Available in ten natural shades from light to dark tones. 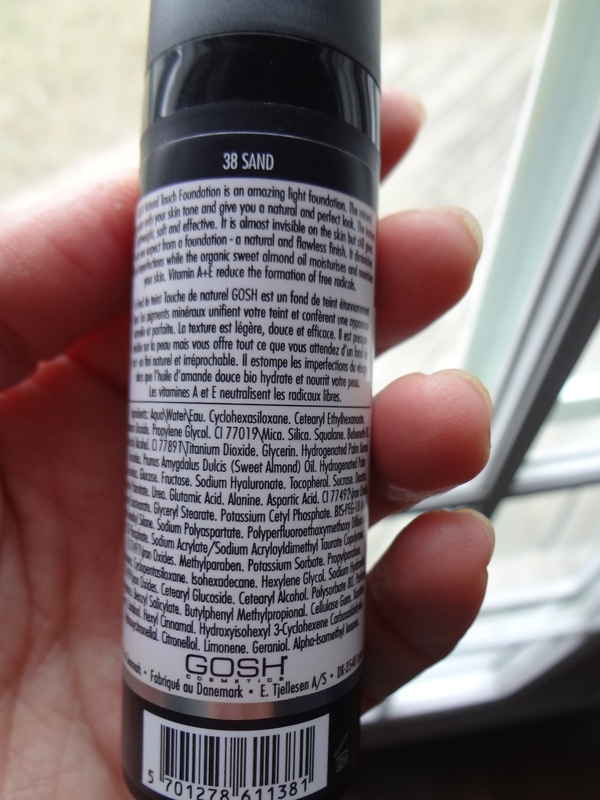 It has medium coverage and it has amazing flower scents. The strong scents will slowly fade and leaves a soothing floral delight on skin. It contains organic sweet almond with moisturizing and nourishing SPF 8. It comes in a pump applicator tube format that is easy and convenient to bring in your makeup bag or travel bag. It’s a lightweight foundation that gives flawless and natural looking skin. I didn’t expect much from this foundation honestly speaking, I was impressed by how light and lovely coverage it gives. 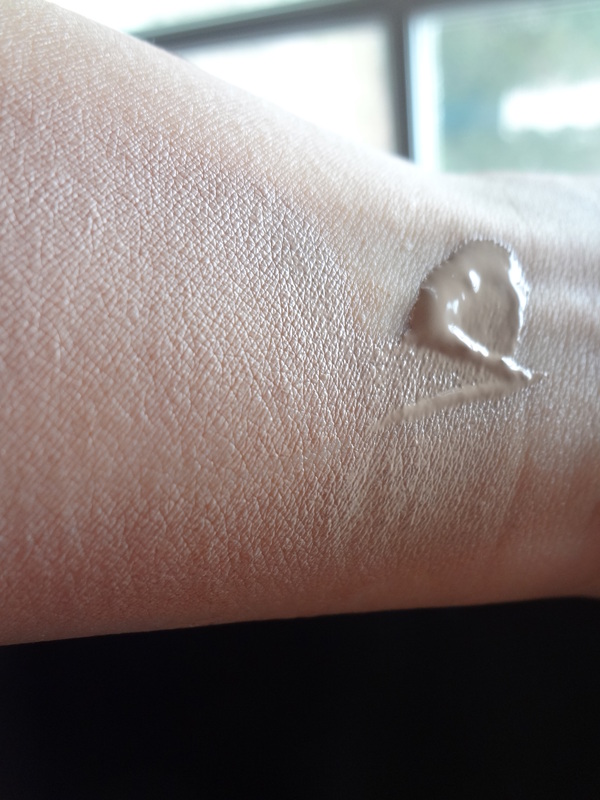 The formula is a little bit liquidy than I expected, it’s more similar to BB cream texture. Usually foundation is much thicker in consistency. 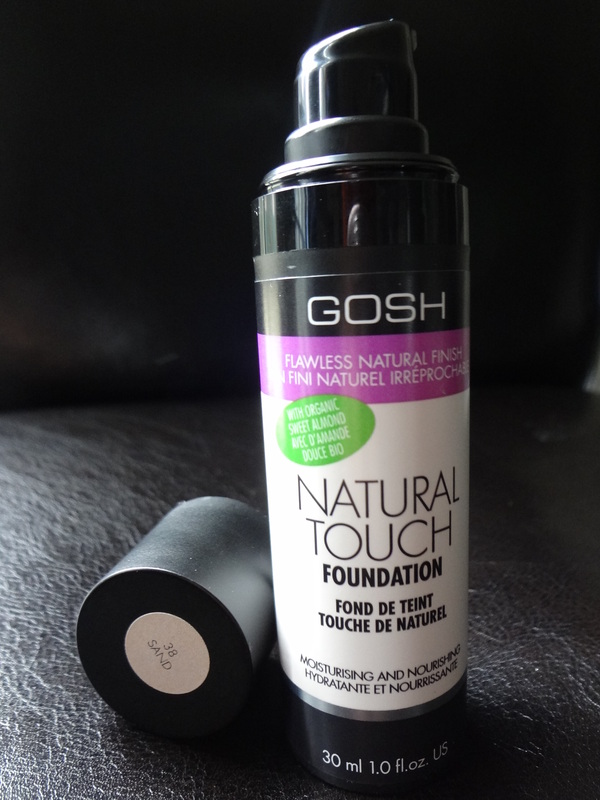 But having said that, this natural touch foundation blends very easily and the result was satisfactory. Look how it blends evenly and the finishing touch is amazing. Well, even-though this foundation is a little bit too light for my skin tone but it definitely gives a smooth and lovely finish. I’m starting to love this Natural Touch Foundation already! Yoo.. Hoo! 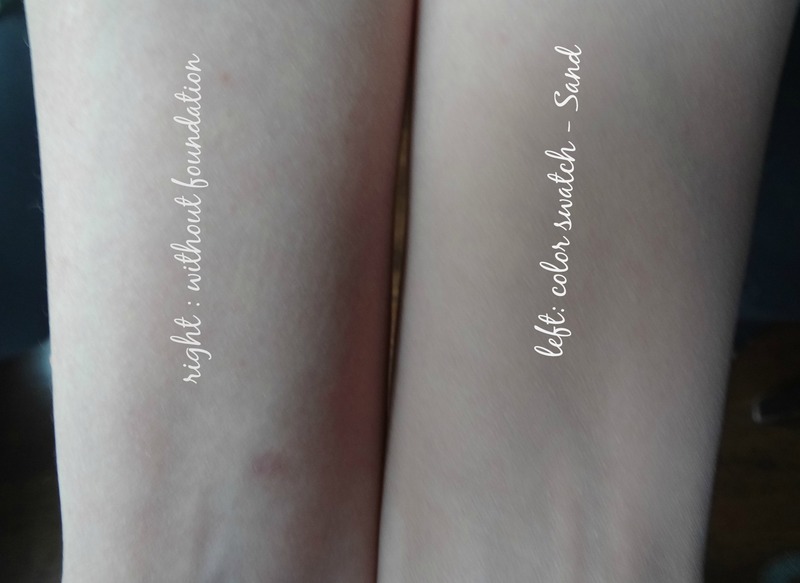 If you want to know more on how to choose the right shade foundation for you, I can do a Foundation tips upon request. Would I repurchase? Yes, I will and would recommend it to my friends. Gosh cosmetic product is available online and also at Shoppers Drug Mart (Canadian drugstore chain) and in UK, France and Amazon online. 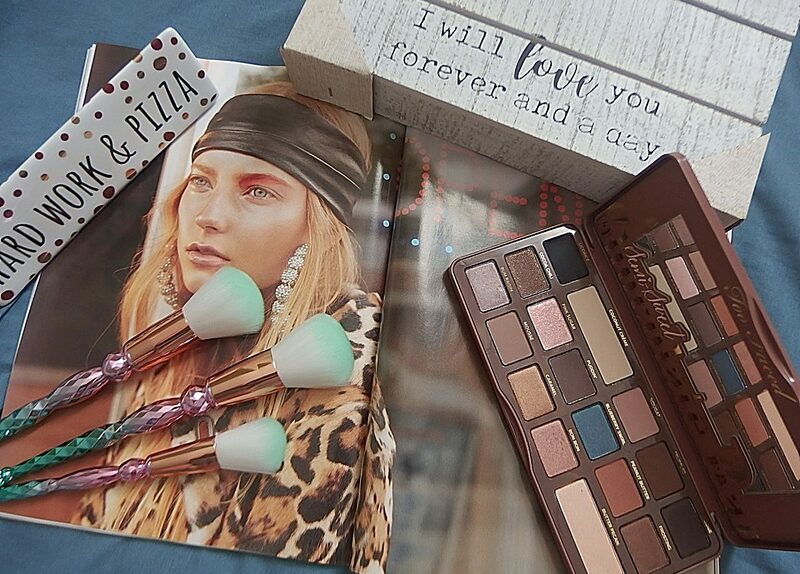 What do you think of this Gosh makeup brand? Have you tried them before?